Is he still bleaching his skin? Yikes! 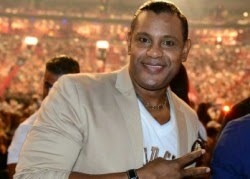 Former Cubs slugger Sammy Sosa was not invited to participate in Wednesday's festivities commemorating the 100th anniversary of Wrigley Field, and a team official says Sosa has some work to do before being welcomed back by the organization. Although he is the Cubs' all-time leader in home runs, Sammy Sosa must consider "some things" before he and the team can reunite, the club said. "There are some things Sammy needs to look at and consider prior to having an engagement with the team," Cubs spokesman Julian Green said. Sources indicate one thing Sosa has to do is make amends with some former teammates for his actions at the end of his Cubs career. 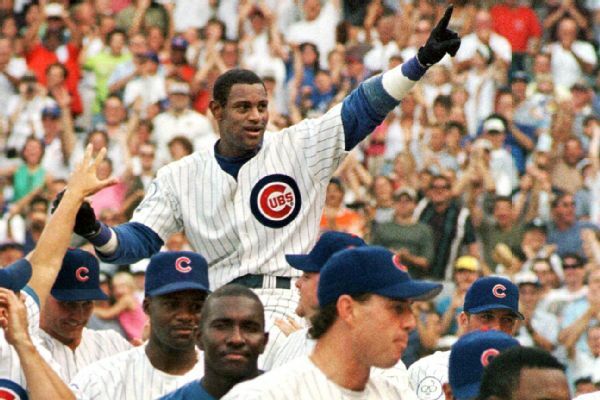 Sosa hit 293 of his 609 home runs at Wrigley Field in 13 seasons, from 1992 to 2004, and posted three seasons of 60-plus home runs, including the 1998 season when he and Mark McGwire eclipsed Roger Maris' then-record 61-homer season. But he left the team on bad terms after sitting out the final game of the 2004 season and leaving the stadium before the game was over. He was traded to the Baltimore Orioles that winter. A New York Times story reported Sosa was on the 2003 list of players who flunked tests for performance-enhancing drugs.